A complete bicycle solution. Ride in a criterium, road race, or a picturesque country road with video footage. Or, workout with power based intervals based on your FTP. Create and share your power based workouts. Exciting features like drafting, hills, handicap mode, points races, elimination races, participate with friends in online riding and workouts. 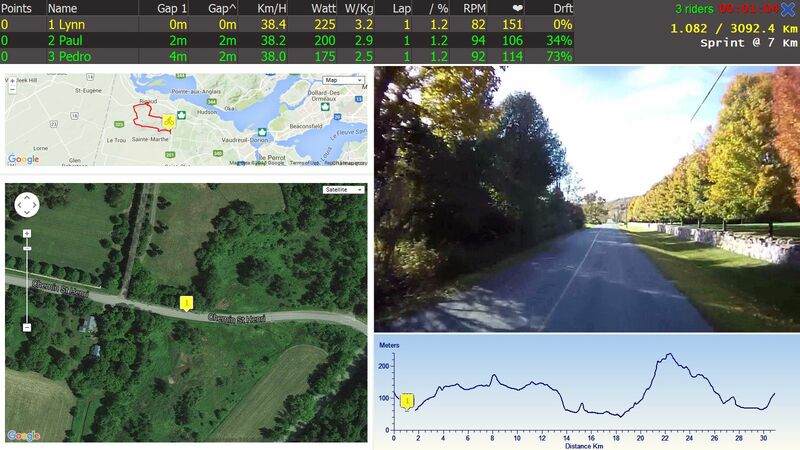 A simple interface to use with your PowerCurve and get watt and speed readings in multi-rider mode. 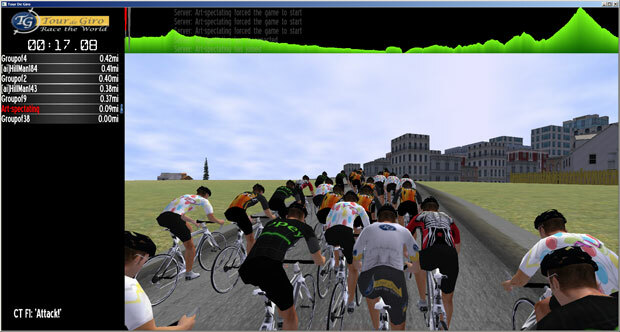 Tour de Giro users are also a vibrant community with well attended online rides.